Marty Neumeier in his book The Brand Gap says “A Retail package is the last and the best chance to make a sale”. Its so true that when marketing uses words like “Brand Image” or “Brand Recall” or ”Top of Mind Recall”, what the consumer has in his mind is the Product and Package Design. With the online marketplace being as important as the brick and mortar store, the need for managing both the digital and print versions of the packaging artwork is critical. With increased competition, packaging differentiation makes the product stand-out on the store shelf. Customers feel they are buying something unique and makes the product more desirable, sometimes even if its priced more than the competition. So how does your company make this happen? The answer lies in a robust Design and Packaging Artwork Process. Supported by a Packaging Artwork Management software, this process can be streamlined and made efficient enough so that you can consistently deliver value to your customer. A Packaging Artwork brings together design elements, structural elements and copy text into a format that can be viewed, reviewed and analyzed. From a design concept to final print production is a long process that is best managed in a transparent and efficient artwork management software system. With ever changing regulations across different countries and markets, compliance is a big concern especially for the Pharma, Food and Cosmetic companies. A good packaging artwork system helps in managing the compliance requirements and keeps up with the changes in it. The need to transition from a manual, people centric process to a standardized system driven process is a no-brainer. 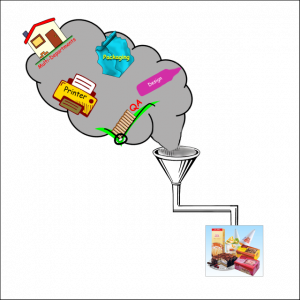 So what would a Packaging Artwork Management System look like? Think of it as a collaborative platform which brings together multiple internal department stakeholders and external stakeholders like agencies and printer vendors. All these people are connected through a structured workflow which alerts users just in time and keeps track of the data, files, status and audit logs. A centralized Asset Library archives all the approved artworks so that you can search and retrieve them anytime. It also manages the artwork revisions by automatically maintaining different versions of the artworks. Even though the system cannot do your work, it does provide a collection of proofing tools to help you do your job faster and better. It comes with color, layer, font and barcode analysis tools. It can compare two artworks and automatically show what’s different in the text, color, symbols and images. 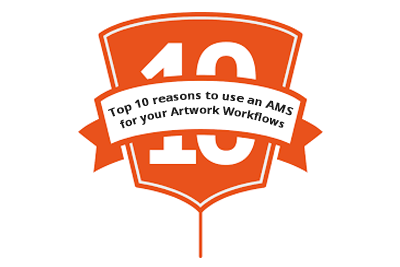 It provides a checklist that you can use to check the artwork and If you do find a problem, it provides annotation tools to comment right on the artwork similar to an Adobe PDF Viewer. Comprehensive reporting and dashboards show where bottlenecks are in the process and who is holding up things. Bottom line, using an Artwork Management System makes your artwork projects run on time consistently and accurately. Are Packaging Labels Senior Citizen friendly?